Thank you for using SearchHomesABQ.com to search for homes and real estate in the Albuquerque area. Please bookmark this page, tell your friends, and come back often. We work hard to provide the very best home search tools around. If you are unable to find what you are looking for or have suggestions as to how the site could be improved, please contact us. On this site, you can find more information on the areas of Albuquerque or find homes for sale near your prefered albuquerque school district. We consider ourselves to be world class customer service operatives. We want our website users to be so pleased with property updates, home information, pictures, and videos that they have no need to go anywhere else. We feature several luxury homes on the site to highlight the best of homes for sale in Albuquerque. However, we know that luxury homes are not realistic for most people, and so the Search Homes Abq website covers a wide range of prices and styles. Whether you are looking for a starter home or a luxury home, Search Homes Abq has every house available in the Albuquerque area. In addition, you can search for homes for sale in Albuquerque by price, features, address, map, lot size and much more in the advanced search. You can also search for foreclosures, short sales, and bank owned homes for sale in Abq. You can also check out our special programs for Homebuyers - some for first time homebuyers and some for other special reasons. What do you want for your kids when they go to High School? We want you to find the best district to live in based on the the highlights of a High School. Experience the Joy of New Mexico and become New Mexico True! We consider ourselves to be top Albuquerque real estate agents that are providing an excellent service to those looking to buy a home or sell their house. When selecting a professional to help you, it's important to make sure they are a Realtor, a member of the National Association of Realtors that subscribes to a strict ethical and educational code. We have written a few of the top reasons to use a REALTOR when selling your home in Albuquerque, and we think you will find a number of other benefits when you contact us. Give us a call at 505-750-3305, and we will provide you with all the answers you need to quickly sell Albuquerque real estate. Foreclosures and short sales have become increasingly popular as options in the Albuquerque real estate market. 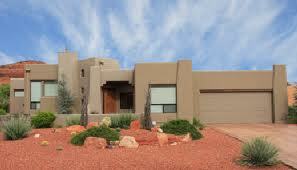 Both foreclosures and short sales can be excellent values when buying a home in Albuquerque. There is, however, a difference between a foreclosure and a short sale. A foreclosure is a home, house or property that has been taken back by a lender through a legal process. Foreclosure is most often a result of non-payment on a loan but can also be due to various other factors. This makes it very important to inspect a foreclosure property thoroughly to ensure what you are buying since most foreclosures are sold as-is. A short sale is a completely different type of property. A short sale is a home, house or property that is being sold for less than the amount owed on the property. In this case, the lender and any lien holders on the property must approve the sale of the property. This process can be very lengthy and requires a real estate agent that is experienced in the short sale process. Both foreclosures and short sales can be very good opportunities if you are looking for properties in Albuquerque, but make sure that you utilize the services of a top real estate agent to ensure that you are represented by a professional that can guide you through the process and help you avoid the potential pitfalls of foreclosures and short sales.